Arjuna (3,339 m) is the highest point on the Arjuna-Welirang range (trending south-north), about 50 kilometers south of Surabaya. 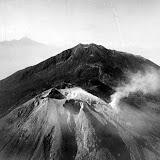 The lower peak, Welirang (3,156 m) has active fumaroles where sulphur is collected. Arjuna has a dormant, collapsed crater on its eastern side above the Lalijiwo camp site. The Kembars (kembar = twins), two smaller peaks (over 3,000 m) nestle between Arjuna and Welirang. 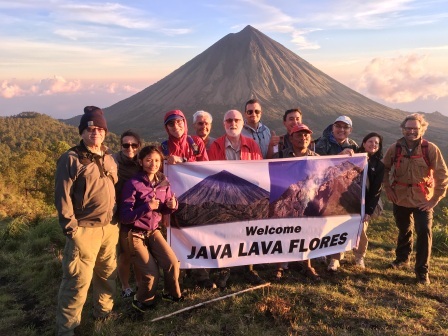 A traverse of these four peaks is one of the finest hikes in Java. Arjuna is named after the third of the five Pandawa brothers who are heroes of the Mahabharata epic and wayang purwa plays, the classical Javanese shadow theatre. Arjuna is renowned as the handsome, invincible warrior of the shadow play. The trip takes four days, with two nights camping on this mountain. Day 1: Meet at Surabaya airport and bus to Hotel Surya, Tretes (about 2 hours). Day 2: Very early start. The trek from the hotel (760 m) to Pondok Belerang (= sulphur), the sulphur collectors’ huts (2,450 m), is along a very rocky jeep track used for bringing sulphur down the mountain. Although this route is straight-forward, it is hot and not pleasant on your feet (especially when descending). Kokopan camp (1,650 m), with warungs serving coffee and super-mie on weekends, lies about half way between Tretes and Pondok Belerang (good water) is a welcome respite. 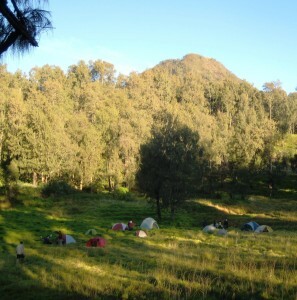 The popular camp site, Lalijiwo (2,485 m), (jiwo = spirit, lali = lost person), lies in an open, tussocky field surrounded by open forest, and is half-hour from Pondok Belerang through lovely forest. The remains of a house, from colonial times, can still be seen at Lalijiwo (Lali Djiwo: Vergeet Uw Ziel | Java Post). Water is available at Lalijiwo but boiling/treating is advised. The vertical climb from Tretes to Lalijiwo is about 1,725 m and takes 6-7 hours. From Lalijiwo, trails lead to the right for Welirang and left for Arjuna. Lalijiwo is about equidistant between Welirang and Arjuna but it takes longer to reach the summit of Arjuna. A full day can be spent trekking Welirang and the Kembars with plenty of time on the peaks. Only the strongest of hikers should attempt a full-day traverse from Lalijiwo, up Welirang, across the two Kembars, finishing with an ascent of Arjuna before returning to Lalijiwo. It is feasible but tough. Besides the options below, strong trekkers could climb Welirang on the afternoon of Day 2, but not the Kembars. Likewise, Arjuna could be climbed starting very early on Day 4 before the descent. Day 3 – option 1: Welirang, ‘sulphur mountain’ (belerang = sulphur), has an interesting crater, Kawah Jero (about 2 hours from Lalijiwo). The highest point offers great views of Gunung Penanggungan and, weather permitting, peaks from Lawu in the west to Argopura in the east and, behind, Gunung Raung. Then, descend to the fumaroles, some 200 ms below, where sulphur is collected, and return along the sulphur collectors’ track. The Kembars are climbed from the point where the sulphur collectors’ track crosses the col (2,965 m) between Welirang and the northern Kembar 1. Climb to the summit of Kembar 1 and descend to the col between Kembar 1 and 2 (where the alternate descent route to Cangar begins). Climb Kembar 2 from this col but it is necessary to return to the col by the same route. The trail then circumnavigates the base of Kembar 2 in a southerly direction, eventually reaching the intersection with the Lalijiwo-Arjuna track on the col between Kembar 2 and Arjuna. The ascent of Arjuna begins from this point. Return to Lalijiwo via the Lalijiwo-Arjuna track or continue onto Arjuna. Day 3 – option 2: Arjuna (3,339 m, 3-4 hours from Lalijiwo) is steep until reaching the main ridge with three false summits. The true summit is at the southern end and is known as Ogal Agil, meaning batu goyang = unsteady/wobbly rocks (which is indeed the case – be careful!) A rock, in the form of a throne near the summit, is known as Mahkota Rama = the crown of Rama. Weather permitting the views of the volcanoes across central and east Java are incredible. 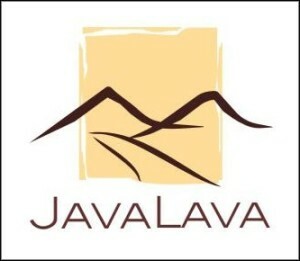 Day 4: Java Lava normally descends by the same route, mandi at the hotel, then returns to Surabaya to catch flights home. An alternate descent is via the track to Cangar on the western side of the range, near the town of Batu. This track starts on the col between Kembars 1 and 2, and avoids having to repeat the rather uninteresting ascent route. However, transport arrangements are more complicated. 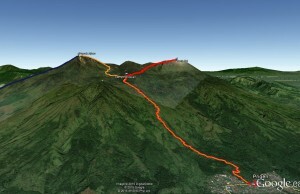 Alternate route: Arjuna-Welirang can also be climbed from Cangar on the western side of the range. From the town of Batu, drive up the Selecta road in the direction of Cangar until reaching a gerbang (gateway/sign over the road) informing that you are entering the Taman National = National Park. About 50 ms onwards, on the right, is a Forestry Office with a sign indicating the point at which the climb begins. Guides/porters can be arranged here. The trail head at Cangar is at about 1,700 ms and leads to the col between Kembars 1 and 2 (at about 2,900 m, 4-5 hours). So the climb is only about 1,200 ms and, reportedly, not difficult; the track is now well worn and clear. Camp sites include the col between Kembars 1 and 2, and Savanah, a beautiful tussocky open-forest area below the Kembar 2 – Arjuna col. The third option is to descend to Lalijiwo, which has the only source of water on the range. A traverse of the Arjuna-Welirang range, starting from Tretes and descending to Cangar, would make for a delightful trek. Suitability: general level of fitness and experience; not recommended for families and children.